This disc marks the latest entry into LTM Recordings' Auteaur Labels series - its ongoing excavation of cult recording imprints. 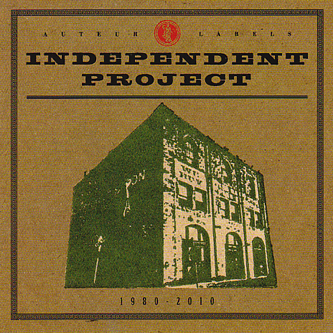 This time around it's the turn of Bruce Licher's Independent Project Records, and among other unearthed treats here, this album notably plays host to the Camper Van Beethoven classic, 'Take The Skinheads Bowling', which is always good to have around, is it not? "Founded by Bruce Licher of renowned experimental group Savage Republic in Los Angeles in1980, IPR has released a raft of diverse records by groups as diverse as Camper Van Beethoven, For Against and Savage Republic themselves. Licher's distinctive letterpress artwork has been utilized by everyone from REM to Hank Williams, and he has twice been nominated for Grammy awards. * The 78 minute remastered CD covers the years 1980-2010 and features no fewer than 23 tracks, as well as a detailed label history and archive images."